As you’re losing weight you might notice that the weight isn’t coming off your stomach as quickly as it comes off other areas of your body. If you want to get rid of belly fat or a flabby stomach, you might be tempted to resort to ab exercises. After all, it makes sense that doing an ab exercise might help get rid of the fat there. As logical as that sounds, it just doesn’t work that way, something we’ve proven over the years as we try to get away from this idea of spot reduction. If you aren’t lifting weights now, there’s no better time to start. Following a simple total body program 2 to 3 times a week will put you on the right track, and these resources will help you get started. Many weight losers fall into two categories – People who diet to lose weight and people who exercise to lose weight. Both are good ideas, but if you want to specifically target belly fat, you’re going to have to do both. Exercise is, of course, the key to burning more calories throughout the day and revving up your metabolism. Putting that together with a healthy, low-calorie diet can give you more bang for your buck, helping you target that stubborn ab fat. Even small changes to your diet can make a difference when you’re trying to lose weight, so don’t feel like you have to follow a strict diet or cut out entire food groups. Below are a few resources for simple ways you can cut calories. There’s no doubt that any amount exercise is good for you, but the more you do, the more ab fat you can get rid of. In one study, researchers measured abdominal fat in people involved in different amounts of exercise. The group who worked out the most (about 200 minutes a week) and at the highest intensity (80 to 95% of max heart rate) lost the most abdominal fat. The news that you have to workout longer and harder to get rid of belly fat probably isn’t the best news you’ve gotten recently, particularly since many of us struggle to get even the minimum amount of exercise suggested, something around 30 minutes of moderate activity a day. In addition, not all of us are equipped, either physically or mentally, for high intensity, often high impact exercise. So, what do you do if you want to reduce your belly fat, but you’re not ready to sign up for hours of intense exercise? Start where you are and build from there. No one starts out doing high intensity exercise. It takes time to build the strength, conditioning, and endurance. Start with what you can handle and build from there. Increase intensity — Add short bursts of speed or resistance to your workouts or practice going faster than you normally do. Try this Beginner Interval Workout 2 for an idea of how this works. Increase your frequency — Add a day of cardio after you’ve been exercising for about 2 to 3 weeks. Split your workouts — Don’t forget, you can split your workouts while getting the same benefits as a continuous workout. Interval training is great for burning calories and building endurance, but it’s also a great way to target more abdominal fat. In one study, researchers compared interval workouts with steady state exercise and found that exercisers lost more abdominal fat when doing interval training. That doesn’t mean that steady state exercise isn’t important or that you have to do interval training all the time. However, adding intervals to your routine will not only give you better results, it will also help you push your limits and keep your workouts a little more exciting. During your regular workout, add 3 to 5 short bursts of high intensity exercise. Work as hard as you can for as long as you can (around 30 or more seconds), slow down and completely recover before going into the next interval. Create a walk/run interval workout. Alternate 1 minute of walking with 30 seconds of sprinting or hill climbs. Repeat for 20 or more minutes. 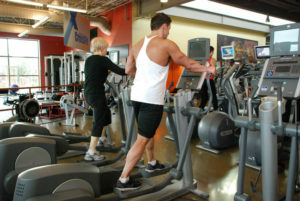 Try Cardio Coach Workouts or other MP3 interval workouts. The Cardio Coach series is just one option for using your MP3 player for interval workouts. If you’re doing high intensity interval training, meaning you’re working at level 8 to 9 on the perceived exertion scale, experts recommend keeping your sessions to about two a week to avoid overtraining or injury. As you build endurance and strength, you may be able to add more interval training to your workout routine. Alternate your workouts: Doing cardio and strength training on different days allows you to focus your energy and attention to each workout. Split routines: Another option is to split your workout and do cardio in the morning and strength training later in the day, or vice versa. Combine workouts: If you don’t have as much time, another option is to do cardio and strength training in the same workout. When setting up your routine, you may need to experiment to find a schedule that works for you. Just remember, you don’t want to work the same muscles two days in a row, although you can do cardio on consecutive days. When you think about reducing belly fat, the first thing that comes to mind is probably ab exercises. Namely, which ones should you do to get rid of this fat? The fact is, ab exercises may be the least important thing you do, although strengthening your abs is just as important as the other muscles in your body. The key to losing belly fat, however, is more about burning more calories than you eat and letting your body respond to that. In other words, you can’t do ab exercises in the hopes of reducing belly fat. That said, it’s still important to work your abs, but you’re better off concentrating on cardio, strength training and your diet for the best results. When you do work your abs, treat them like any other muscle group — challenge them with a few, well-chosen exercises, perform 2 to 3 sets of 10 to 16 reps, and give them a day of rest between workouts. Don’t forget, there are a number of whole body exercises that work your abs while targeting other muscles, which save time and makes your workouts more functional. 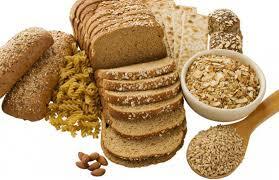 Whole grains are a great source of fiber and are proven to help reduce the risk of cardiovascular disease. What makes them even better is they may actually help reduce fat around the belly. Moderate wine consumption has some health benefits, including increasing good cholesterol. Another possible benefit is a lower waist circumference. If you don’t drink, that doesn’t mean you should start. Alcohol adds extra calories to your diet, so cutting it out can help with weight loss. If you do drink, however, this is a good time to assess your habits and change them to be a bit healthier. 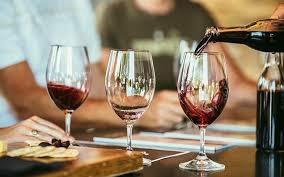 Drinking one or two glasses of wine may serve you better than hard liquor, especially if you’re watching your weight. Remember to always drink responsibly. « Changing the Size of Your Portions Works!